Seafish, the public body that supports the £10bn UK seafood industry, is taking a deep look in to the UK’s seafood processing sector with a programme of financial, employment and sector research. The research has kicked off with the Processing Sector Census which is carried out every two years to collect information on the size, structure, and recent changes in the UK seafood processing industry. Data collection has started and will continue throughout November and December with results published in the Seafish Seafood Processing Industry Report 2018 due for publication in mid-2019. 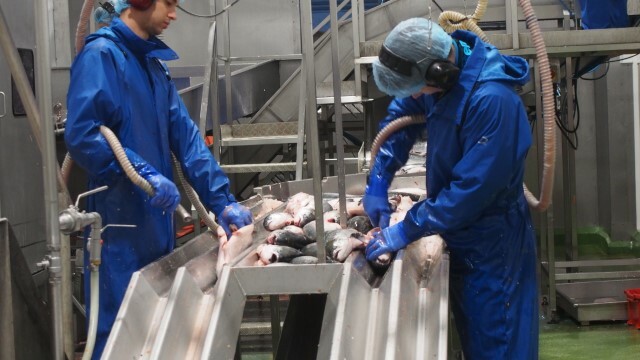 The Processing Sector Financial Survey is also being carried out in March 2019 in order to collect data on business performance data in the seafood processing sector. Results from this survey will also feature in the Seafood Processing Industry Report. As the UK leaves the EU, there is a big focus in employment and recruitment issues in food industries which is another area Seafish has been looking at over the past 12 months. The Processing Sector Labour Survey is commissioned by Defra to collect data annually and quarterly on workforce composition and ease of recruitment in the seafood processing sector. The latest quarterly results were published in October, with a variety of issues coming up including a shortage of candidates and potential candidates having negative perceptions of the industry. The next round of research for the annual survey is taking place over November and December, to be published in March 2019. Researchers will be contacting processors across the UK via telephone, email and post over the next few months. For further information on the census or financial survey contact Steve Lawrence on 0131 524 8663 or email steven.lawrence@seafish.co.uk. For more information on the labour and employment survey, contact Lewis Cowie 0131 524 8631 or email lewis.cowie@seafish.co.uk.